This book provides up-to-date coverage of fossil plants from Precambrian life to flowering plants, including fungi and algae. It begins with a discussion of geologic time, how organisms are preserved in the rock record, and how organisms are studied and interpreted and takes the student through all the relevant uses and interpretations of fossil plants. 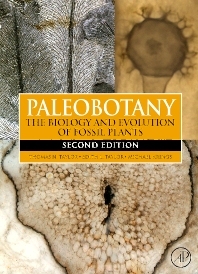 With new chapters on additional flowering plant families, paleoecology and the structure of ancient plant communities, fossil plants as proxy records for paleoclimate, new methodologies used in phylogenetic reconstruction and the addition of new fossil plant discoveries since 1993, this book provides the most comprehensive account of the geologic history and evolution of microbes, algae, fungi, and plants through time. Plant biologists; paleobotanists; botanists; researchers in palaeoclimatology, palaeoecology, palaeontology and systematic biology. "A splendid gift for anyone interested in the evolution of terrestrial life. By opening the door to a diversity of ideas, the authors turned what could have been a gaping void into an agenda for many a lab meeting or conference session. Taylor, Taylor, and Krings provide the most accurate, useful, and well-illustrated comprehensive account of fossil plants now in print. Their new edition has caught up with recent discoveries and the progress of thoughts about plant evolution. It points the way toward the most promising avenues for future research."